A new software update is required to go through of the WiFi Certification before it reaches the device. And it looks like the same has been done with the latest Android 9 Pie update. The latest Android 9 Pie update has now appeared running on the Samsung Galaxy A7 2018, A8 2018, A9 2018 and A50 devices which have been certified by WiFi Alliance. The WiFi certification of the Galaxy A7 2018, A8 2018, A9 2018 and A50 confirms that the latest Android 9 Pie update will soon be rolling out for this device. The Samsung Galaxy Galaxy A7 (2018) was launched last year running Android Oreo 8.0 and now it seems that Samsung will soon start the Android 9 Pie update for the device. 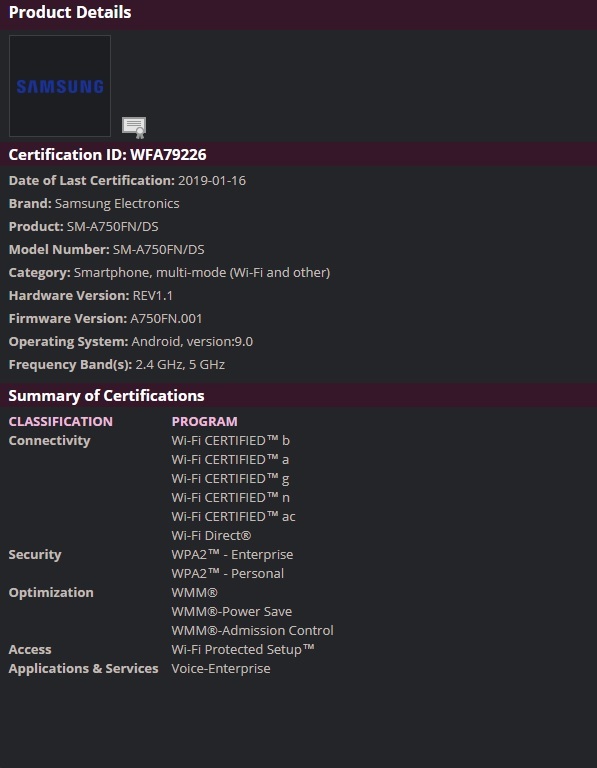 The certification also reveals that Samsung’s Galaxy A50 is getting closer to its launch. 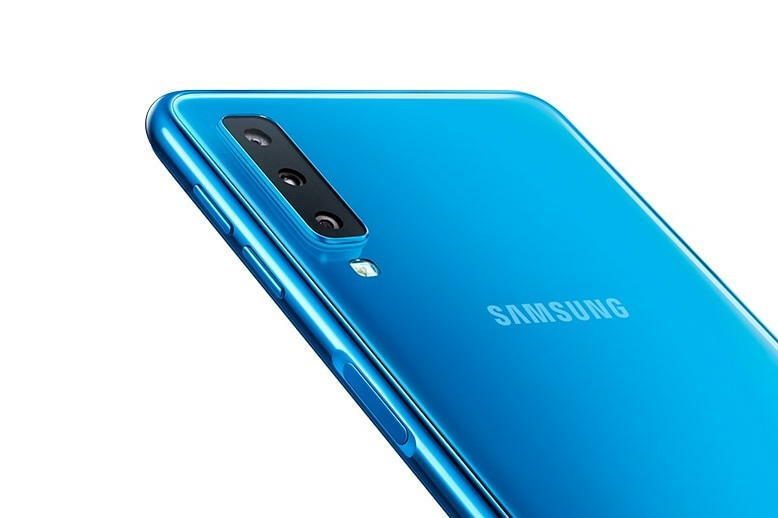 The Galaxy A50 is yet to be launch and it is expected to be coming with 6GB of RAM as revealed by Geekbench listing. The device is also expected to feature 4,000 mAh battery and a 24MP main camera on the back.